The distributor of the film labels the movie The Incredibles “An animated action-adventure comedy about a dysfunctional family of undercover super heroes, who, though struggling to live a quiet suburban life, is forced into action to save the world.” Sound familiar? The Pixar -Disney movie is about a family of 4 who have supernatural abilities. Dad is Mr. Incredible and mom is Elastigirl. There are many moral lessons to learn from this movie. The story begins in a metropolis where the populace are nostalgic for the simple valor of a bygone era of bold heroes who could save the world. Their 3 children have super powers as well. The children are directed to not expose their secret. The concept that each person is given a unique ability that he or she may choose either to hide or use for the good of others. Also, the importance of honesty and communication in relationships is clearly displayed. Their family problems are extremely real much like we have as humans. 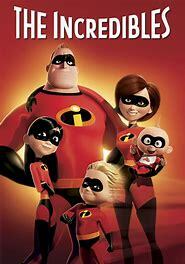 The movie shows The Incredibles as supporting the good and rebuking the bad. Early in the movie Mr. Incredible jokes that he wishes he would not have to save people again after he has already saved them once. He jests, “Why can’t they stay saved?” Of course, this serves as a great bridge to speak about the One Hero who saves people with total efficacy and for eternity, Jesus Christ. There is a time where the family is sued and is forced to live that life of suburbia as previously mentioned. The suit stems from the public being upset that they are sticking their noses in others business such as stopping one from committing suicide. Are you prepping individuals correctly for that glorious day or are you shoving it down their throats? My treasures are not what is on the outside because of my relationship I have on my inside. I am incredible because of the supernatural power-Holy Spirit deep down inside my soul. This is not even because of my income, my skin color, my ethnic background. I can love in the least desirable and in hateful situations–peace in the middle of chaos. I truly believe in all of my heart that we need to love more and hate less. Will you follow OUR pilot (not the co-pilot) and take that lead to love mankind even in tumultuous situations? We all can be The Incredibles.